Beach House 8 condominiums is a “cocktail of contrasts”. Developed by Valerio Morabito and Ugo Colombo the Beach House 8 is playful, unique, and truly cosmopolitan. 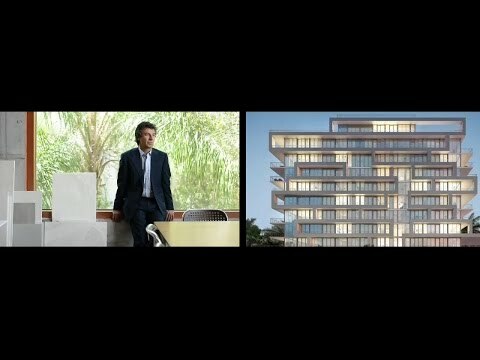 Bernardo Fort-Brescia was the architect behind this unique project. Eight flow-through residences capture the sweeping water views from private, spacious balconies. Each 4 bedroom residence offers LED lighting, floor-to-ceiling windows, and luxury finishes. Amenities include a teak deck around a sparkling pool, a garden waterfall, and a suite of concierge services. Beach House 8 condos in Miami Beach is conveniently located near Downtown Miami, Brickell, Park West, and Flagler Street. Miami Beach is a short drive from South Beach and Miami International Airport, and offers access to the Venetian Causeway, a biking trail connecting downtown to South Beach.